Great map - quick and bloody! Review by [ESP] Pablo García on 4/22/2014. 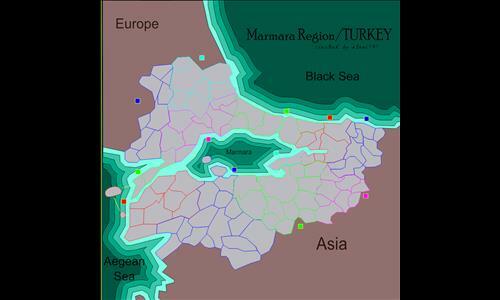 Lalapasa and Süleoglu don't connect although they are side to side. Please fix this. Review by uws123 on 4/17/2014. Review by Colin Betts on 11/12/2016. Meh. Not a fan of the color scheme. Review by DeezNuts on 4/26/2014. This is the worst map ever, the territories are to blocky, its to small, and the bonuses are too big for such a small map. Whoever made this should go play plants vs zombies are angry birds.